When it comes to Heating and Cooling service in Alsip, IL – Polar Heating and Air Conditioning can not be beat! We pride ourselves on providing the absolute best prices and superior customer service that residents and businessowners deserve. That is why our customers refer us to friends and family members, and that is why we are so highly reviewed on websites such as Angie’s List. Fortunately, you don’t just have to take our word for it. Contact us today for a list of references, or log onto Angie’s List for yourself. Whether you are looking to install or repair a boiler, furnace, or air conditioner our certified professionals are here for you 24 hours a day 7 days a week. Contact us today! 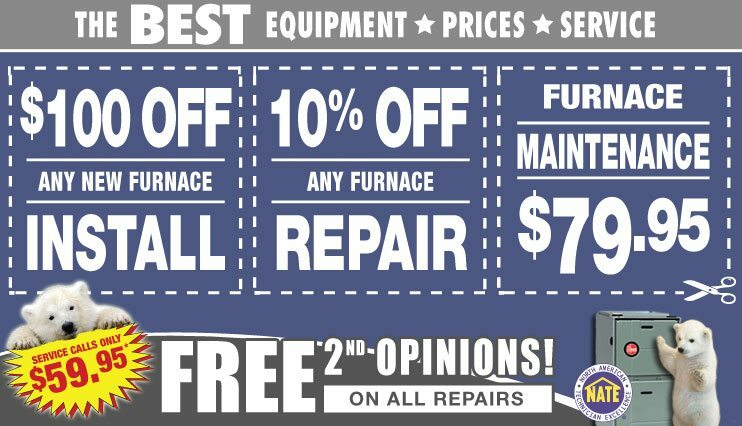 Do you need a furnace repair, boiler repair, or air conditioner repair performed at your home or business in Alsip, IL? Let us help! We will work around your schedule to arrive at the most convenient time for you, and you will never be charged extra for a Saturday or an evening appointment. Are you experiencing an emergency? At Polar we are able to repair your furnace, ac, or boiler 24 hours a day. Another benefit of choosing Polar is always getting the best price on all heating and cooling repairs in Alsip, IL. We will beat any legitimate competitor’s written estimate, and we provide a FREE second opinion to all customers who have already received a written estimate. Contact us today to schedule your HVAC repair service today! Has the time come to replace your old heating and cooling system? Are you looking for an HVAC contractor for your new residential or commercial construction project? If so, you can always expect the best prices on new boiler, new furnace, and new air conditioning installation services in Alsip, IL when you choose Polar Heating and Air Conditioning. We will beat any competitor’s written estimate on new HVAC equipment installation and we offer warranties on parts & labor. We know that you have many choices when it comes to heating and cooling in Alsip, IL, but we believe that our superior customer service and affordable pricing sets us apart from the others. We would love the opportunity to earn your business. Contact us today for a FREE estimate on all new furnace, new boiler, or new air conditioner installation or replacement services in Alsip, IL. We have over 60 years of experience serving the your community and look forward to providing you with the best equipment, at the best prices, installed by the best! Call us today at (708) 260-8855, or click here to schedule an appointment.